The new day in Bigg Boss 11 house will see equations changing. Priyank Sharma and Hina Khan are no longer into talking terms while Akash and Arshi get into a fight. Bigg Boss 11 will witness new twist and turns in the eleventh week of the show. In the latest development in the Bigg Boss 11 house, Hina Khan and Priyank Sharma are not in talking terms. Yes, you read that right and the reason is Priyank’s comment of her being insecure of her position in the house. In tonight’s episode, you will see Luv Tyagi and Priyank Sharma talking about Hina Khan’s changed behaviour towards them. 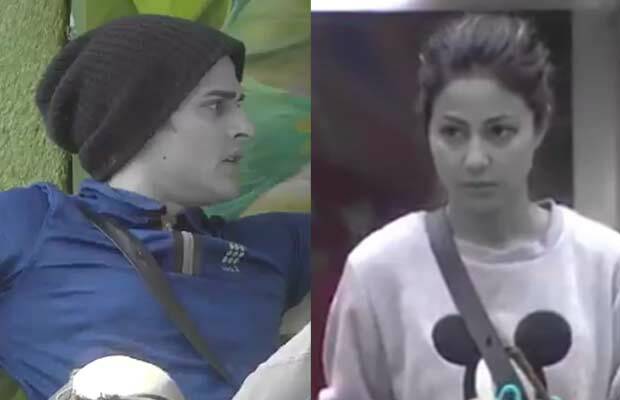 Luv tells Priyank that Hina is upset with them and that she doesn’t want them to speak anything such that would harm her celebrity image on national television. Priyank replies that it is obvious Hina is insecure about certain things. Priyank insists Luv to clear things with Hina Khan. Luv replies saying that Hina doesn’t want to talk to him as she has already mentioned, ”she is done with them”. The boys decide to talk to her only when she wishes to. On the other hand, Akash Dadlani and Arshi Khan have parted ways. The two taunt each other and get into an argument. During their banter, Akash Dadlani insults Arshi Khan saying that how she thinks herself hot than Katrina Kaif and Sunny Leone. Meanwhile, who do you think will get nominated this week? Let’s wait and watch! Previous articleWatch: Salman Khan Blushes As He Talks About Romancing Katrina Kaif In Tiger Zinda Hai! Next articleExclusive Interview: Miss World 2017 Manushi Chhillar Reveals What Happened Minutes Before Winning The Crown!